The V-PLEX Plus Th17 Panel 1 mouse is optimized for long-term and multi-site biomarker studies that require reliable, reproducible results with lot-to-lot consistency. The V-PLEX Plus Th17 Panel 1 mouse includes ten key Th17 pathway markers that are important in inflammation response and immune system regulation as well as numerous other biological processes. 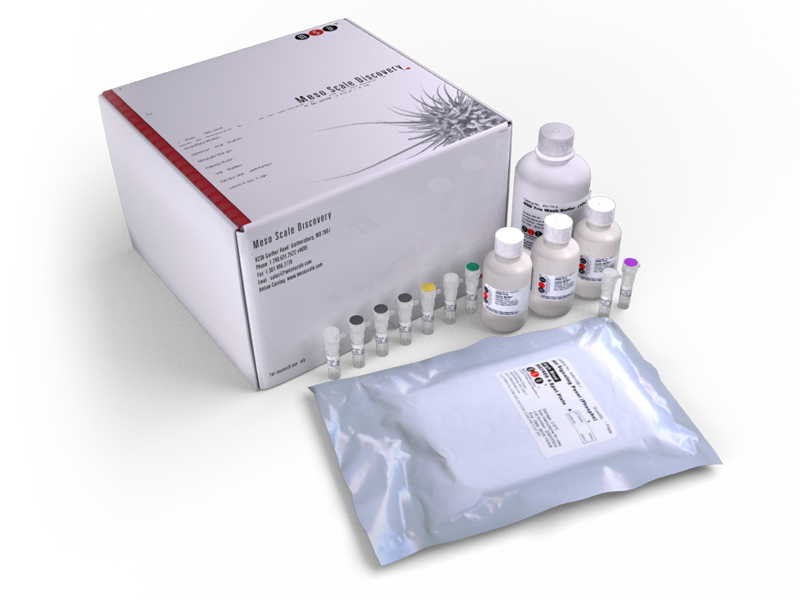 The kit enables the sensitive detection of IL-16, IL-17A, IL-17C, IL-17E/IL-25, IL17F, IL-21, IL-22, IL-23, IL-31, and MIP-3α in multiple sample types including serum, plasma, urine, and cell culture supernatants. To learn more about the advantages of V-PLEX assays click here. All V-PLEX kits come with coated plates, calibrators, labeled detection antibodies, optimized diluents, a comprehensive product insert, and a certificate of analysis. V-PLEX Plus kits also include controls, wash buffer, and plate seals for added quality and convenience. V-PLEX Plus kits also include controls, wash buffer, and plate seals for added quality and convenience. Calibration curve accuracy and precision for each analyte in the V-PLEX Plus Th17 Panel 1 Mouse Kit were assessed and the representative data are presented below.